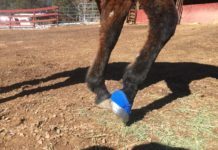 I wanted to follow up on my tale of the barefoot journey with my Icelandics, especially Draumur, my gelding who has an old hoof deformity (see my last blog: Boot Fitting for an Injured Icelandic). This left hind foot deformity presented a challenge when I decided that I wanted to remove steel shoes. 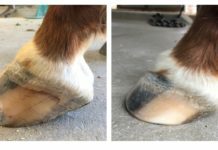 However, he has done extremely well over a two year period with expert trimming and the use of properly sized hoof boots. As per my previous blog, he started out with Easyboot Trail in the front and Easyboot Glove with power straps in the back. His feet continued to change because of his underrun heels and long toes which needed time to correct. 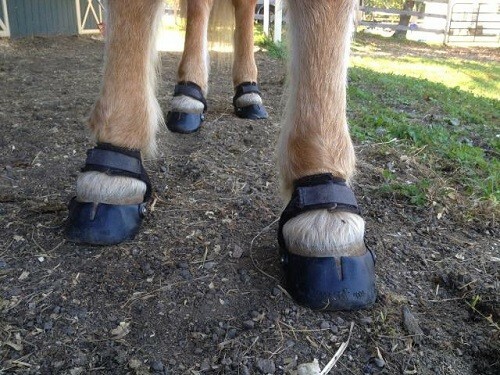 His front and back hooves became rounder, shorter in length and wider in width which made him grow out of several sizes of the above named boots! In the meantime I have kept an arsenal of different sizes, on the small spectrum of the Glove, Glove Back Country, and Trail. 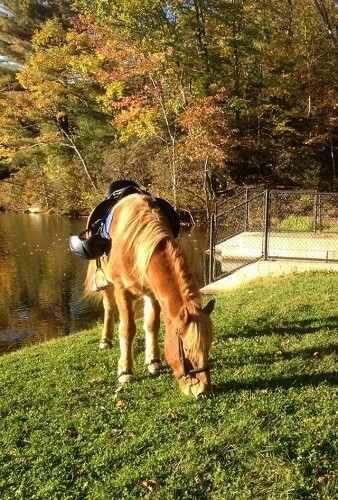 My gelding now wears Easyboot Gloves on all fours and is going strong in all gaits. I have also fit my young Icelandic mare Gloves. She has a huge trot during which she forges sometimes so I put bell boots over her Gloves which work very well and protect her front boots. Overall I am very happy to have been able to keep my horses barefoot with the help of hoof boots which allow the extensive trail rides in our very rocky CT terrain. 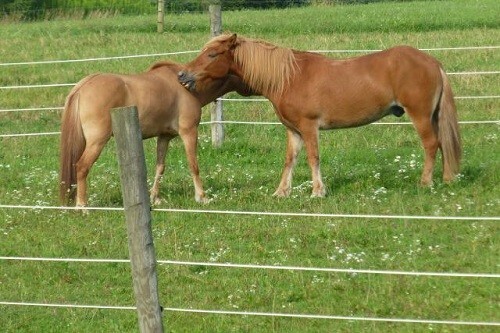 The horses are confident and sure footed. 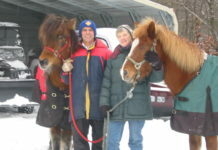 They are both gaiting beautifully in their special gait, the tolt, which makes the Icelandic Horse so special! Next articleMustangs Need Hoof Boots?